Very nice! I was out there two years ago, and I agree, it's a beautiful area! Always a great location. 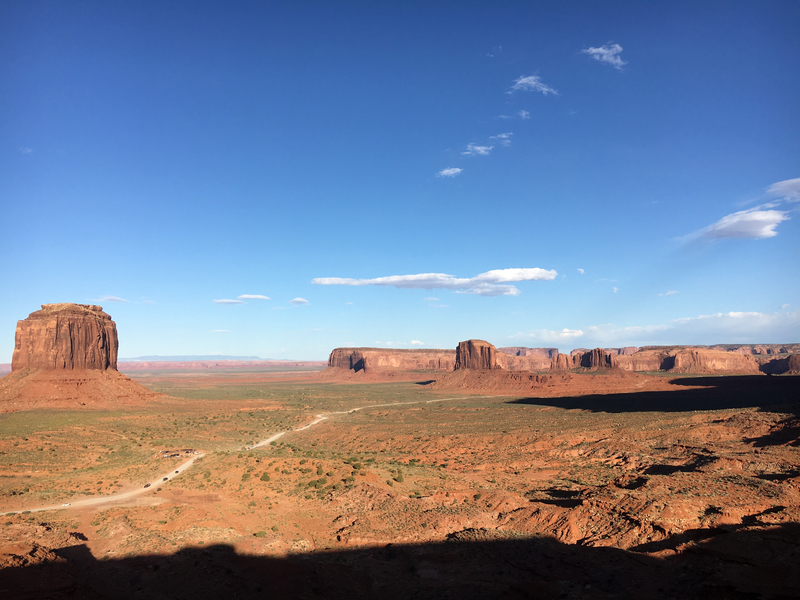 Pretty sure the photo could benefit greatly by a generous cropping out of the entire bottom lengthy shadow and some of the blue sky at top so as to emphasize the redder and bolder midground elements and keeping Elephant Butte in there. I agree with David. I'd go for more of a panoramic view. I'll 3rd what David said...go with a 16x9 format for a little tune-up. With that said, beautiful photo! Even un-cropped, still pretty, thank you for sharing.